These boxes are ideal for moving house, storage, and protection of goods in transit, available in a wide range of useful sizes to suit almost any application. Please note that, due to excessive charges on lightweight bulky parcels sent by carrier, we can only supply these boxes in our local area (postcodes starting NR). Product description: These boxes are ideal for moving house, storage, and protection of goods in transit, available in a wide range of useful sizes to suit almost any application. Please note that, due to excessive charges on lightweight bulky parcels sent by carrier, we can only supply these boxes in our local area (postcodes starting NR). 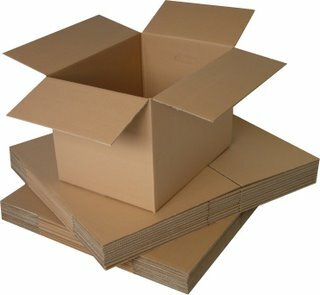 Description: "Picture of cardboard boxes"
Strong Double Wall Cardboard Boxes. These boxes are ideal for moving house, storage, and protection of goods in transit, available in a wide range of useful sizes to suit almost any application.